Do you need new photos or updated headshots? We are bringing the amazing photography talents of Michelle Wilson to Maryland and transforming our office into her studio for the day. She is a very reputable photographer known by agencies and tons of working kid actors and models in the Big Apple. Her website and Instagram page is splashed with faces of some of the top booking kids and cutie patooties repped by agencies. And the best part, which is a MUST for us, she specializes in kid photography so she is sure to bring out the best in your kid on set. 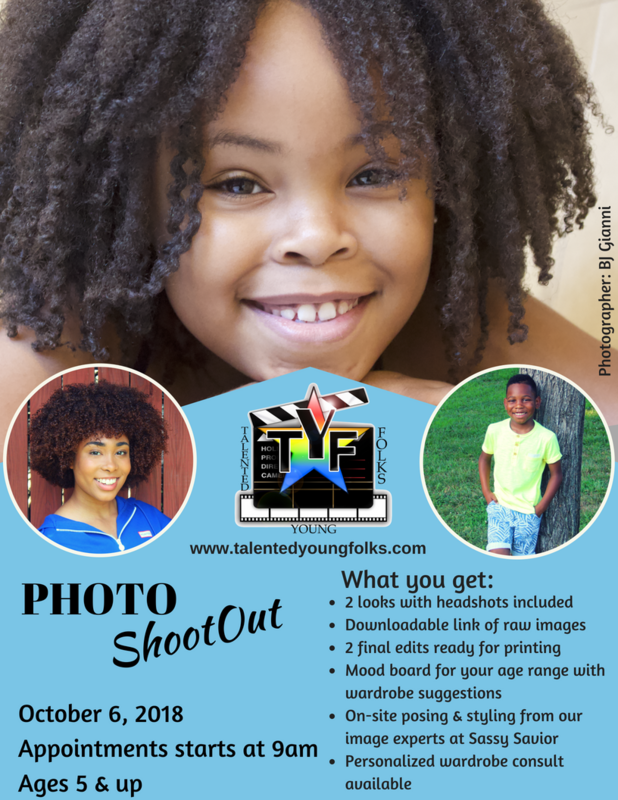 Get the eye-catching photos your agency and casting directors will love, today! A shootout is a professional session designed to maximize the photographer's time while offering a discounted rate to models. Multiple slots are scheduled so talent can rotate consistently in front of the camera to get their desired looks. The finished product is a great day of shooting, awesome photos, and a full service crew... for a super affordable price! Photos by BJ Gianni and wardrobe and image consulting by Opal of Sassy Savior. NEW SERVICE!!! We are excited to offer general and personalized mood boards to provide you with guidance for your hair and wardrobe. Price: $299 with a $50 non-refundable deposit required to hold your seat. Reserve your slot today!!! 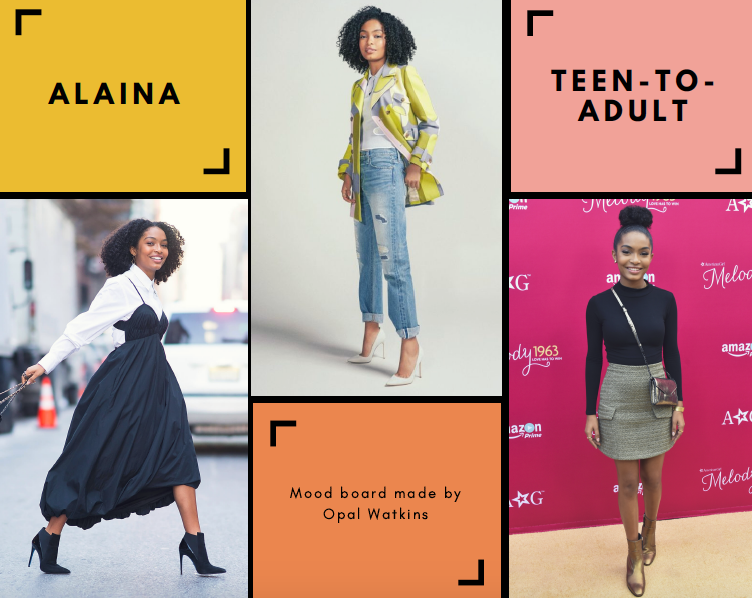 This is a sample mood board created for a client transitioning from a youth performer to young adult actress using inspiration from her hair and wardrobe preferences and current trends fit for her.